Founded in 1977 by an ambitous young South Sounder named Dale Hudson, Hudson's Drywall Inc. has been providing complete drywall services throughout the South Sound for almost 4 decades. We made it through the tough times of the 1980s and came out still going strong thanks to fortitude and enduring business relationships made along the way. The 1990s and beyond too have been successful, as these relationships have continued and many more have been made. 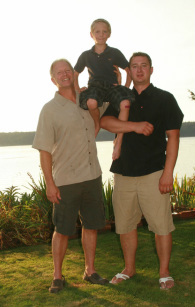 Dale & family have turned Hudson's Drywall Inc. into a company that has earned a remarkable reputation as a leading drywall company in Olympia, Shelton & surrounding areas. In fact, we are the longest running drywall company in the South Sound! Hudson's Drywall Inc. is backed by over 41 years of industry experience and we are to this day family owned & operated. Dale is still in the office on most days and if he's not, chances are he's in the field. We have team members stationed throughout the South Sound and our staff takes pride in professionalism, courtesy & cleanliness. Family is important to Dale & to Hudson's Drywall Inc. The loyalty and pride of family & community, we believe, has contributed greatly to our staying power. It is because of unwavering ethics and quality workmanship that local businesses and homeowners alike know they can trust us with their residential and commercial needs year after year.